Most crocus are relatively straight forward to germinate from seed, in particular the most popular spring flowering varieties. Although it will take a few years before your new plants come into flower this is an excellent way to build up large numbers of stock. Try to obtain the seed as soon as it ripens on the plant as this is when they will be at their most viable. These can be found in swollen sheaths close to the ground - as shown in the accompanying photograph - around May/June time depending on the variety. Sow the fresh seed thinly onto a compost mix of two parts John Innes 'seed and cutting' to one part vermiculite. Add a good layer of horticultural grit onto the surface and gently water in. Finely spray the surface with a copper fungicide such as cheshunt compound, and then transfer them into either a coldframe or unheated greenhouse. During this period try to keep the compost moist. Good ventilation is very important for growing crocus seedlings so if it is poor where you are keeping them you may need further applications of fungicide to protect them from fungal infections. 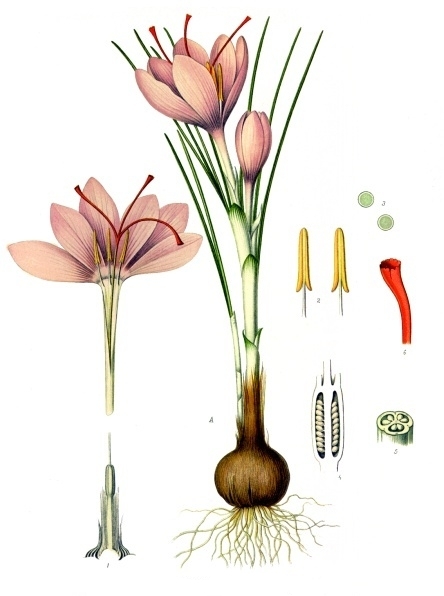 Crocus seeds need a warm period followed by a cold spell in order to initiate germination, but if the seasonal temperatures are sporadic, dormancy will not be broken and the seed will need to wait until the following year. Any longer than that and the seeds tend to lose their viability. If this becomes a problem then you may need to refrigerate them for a month or so to break the dormancy and initiate germination. It can take anywhere between 1 and 6 months for the seeds to germinate with the spring flowering varieties expected to germinate any time between January and March. Because of this 'winter' germination pattern it's a good idea to try and keep these new plants from freezing again once germinated. At this stage they are extremely vulnerable and can easily be killed off if frozen when wet. Before germination it's best to try keep them in a greenhouse where the temperature doesn't go much below 1 or 2 degrees Celsius. Then, as soon as they have germinated they can be kept a little warmer, but once again make sure that there is good ventilation to prevent the occurrence of rots. Once your juvenile plants are growing the key thing to keep an eye on is attack by the various fungal infections that are out there. To help avoid this make sure that when they are potted on they go into a well drained compost and do not allow them to become waterlogged or left to stand in water. Now they they are growing they can be periodically feed with a weak fertilizer as this will to help bolster up the young corms. Re-pot them every year into a richer compost such as John Innes 'No 2 or 3' but again add plenty of extra horticultural grit or vermiculite for drainage. You can also give them a good top dressing of grit to help keep the neck of the plants dry. By the third year your new plants should come into flower and are now sturdy enough to plant outside in the garden.